The list of file extensions associated with The Bat! Found 8 file extension associations related to The Bat! and 8 file formats developed specifically for use with The Bat!. The Bat! 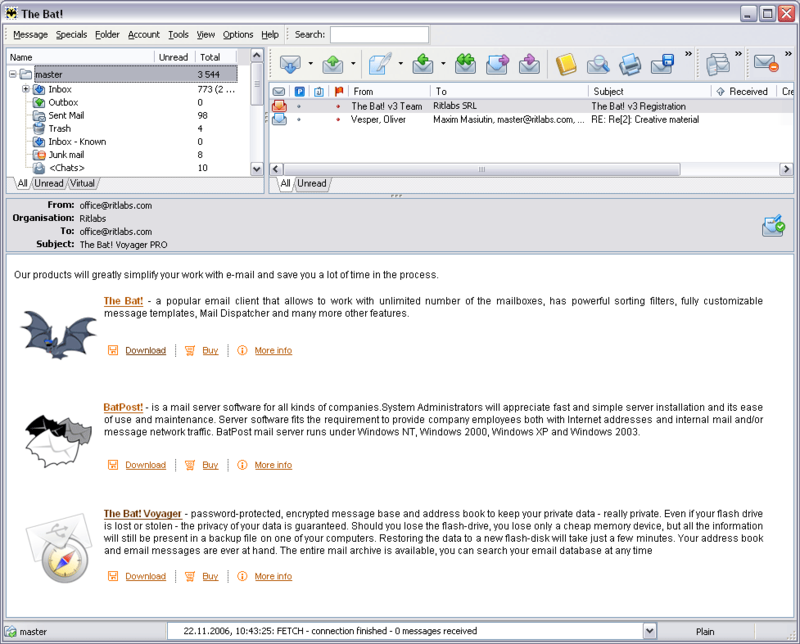 is a popular email client that allows to work with unlimited number of the mailboxes. and many more other features. If you need more information please contact the developers of The Bat! (RITLabs SRL), or check out their product website.